Your search ends here! 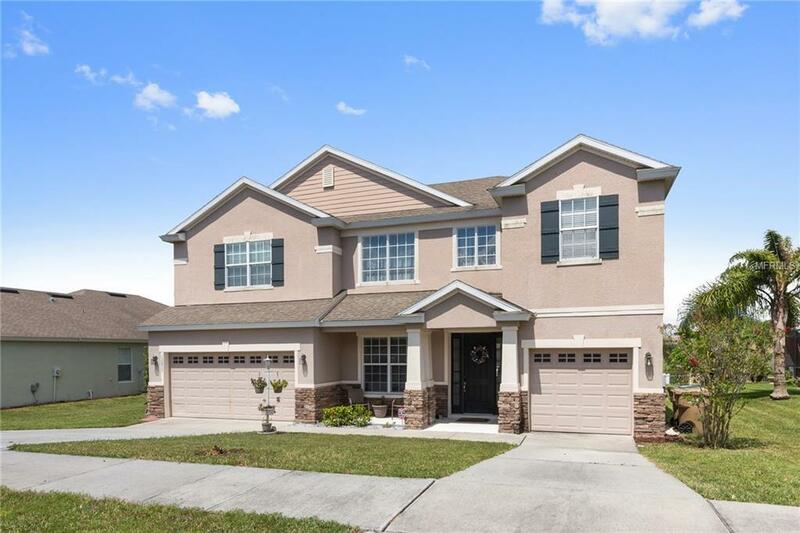 Beautiful 5 Bedroom/4 Bathroom home located in the Outlook community at Lake Louisa. 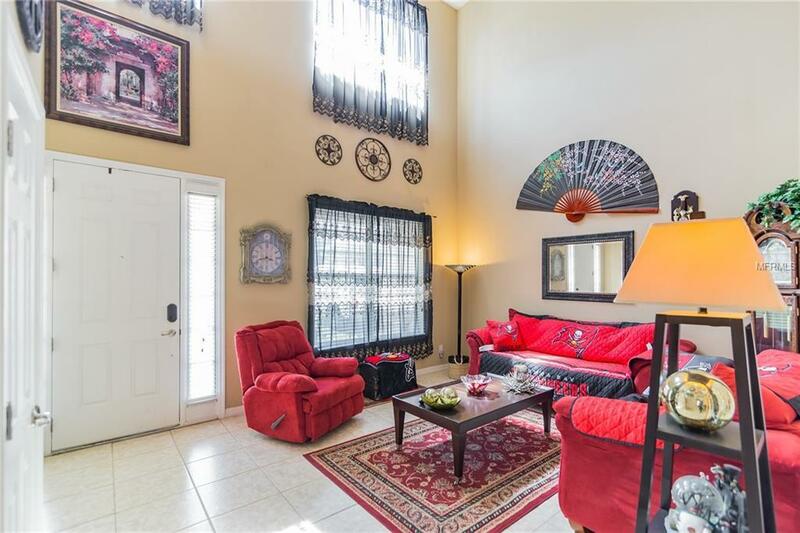 Upon entering the home you are greeted by a welcoming living room and sure to be impressed by the soaring ceilings. 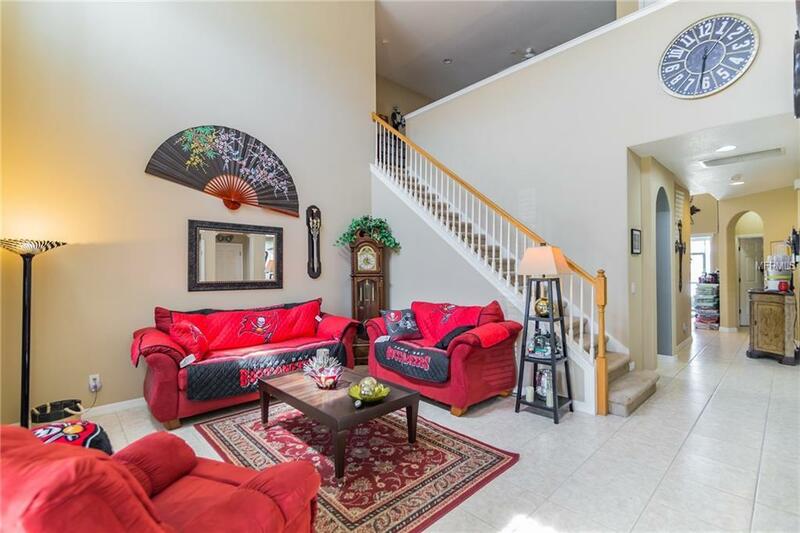 Just beyond the stairway you will find a formal dining room, perfect for special occasions and intimate gatherings. The chef of the home will be over-joyed with the spacious kitchen offering plenty of storage and counter space, showcasing wood cabinets, granite countertops, a closet pantry, an island, and a bright dinette area/great room combo. The first floor master suite has ample space for a king set and the attached ensuite features separate his and hers vanities, a large soaking tub, and a stall shower. A guest suite on the first floor will make any visitors feel like VIPs. Additional bedrooms are generously sized and ideal for family, additional guests, and just about anything else to fit your needs. Step out back onto a large screened patio with ample room for outdoor furniture to create the ultimate setting for entertaining, or simply lounging in the gorgeous Florida weather. 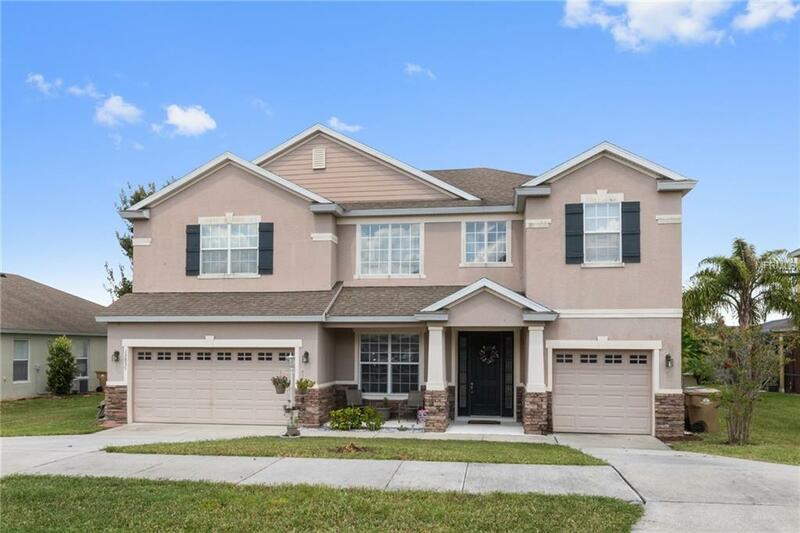 This home also includes a spacious loft overlooking the great room, a bonus room perfect for a home office, and a laundry room providing storage and counter space. Discover a variety of local shopping and dining options. Lake Louisa and other nearby lakes offer parks, beaches, and boat ramps for enjoying all types of outdoor recreation. Close to major highways and Turnpike. Don't miss this opportunity!